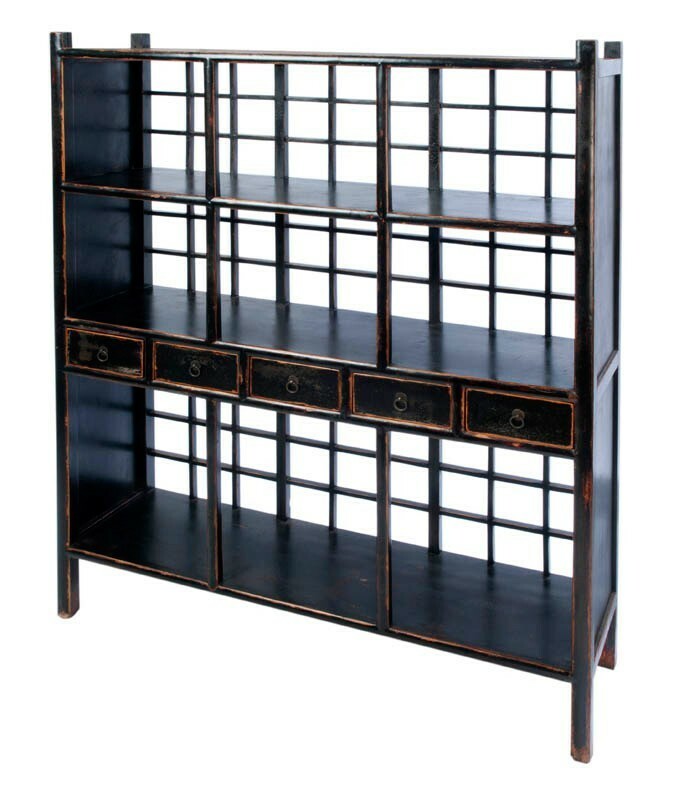 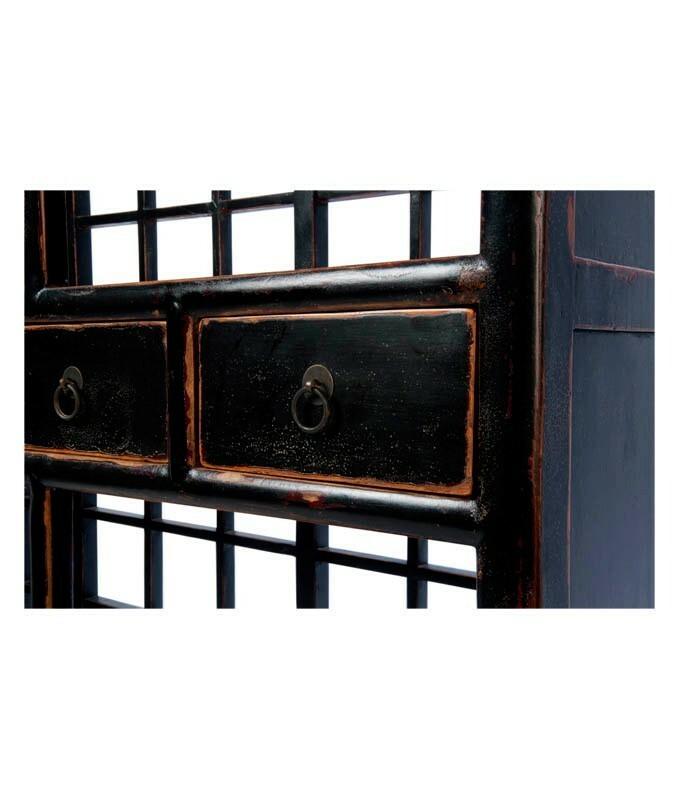 This three shelf, five drawer display cabinet is finished with an antiqued black paint with exposed wood details, inset side panels, a unique lattice back and brass hardware. 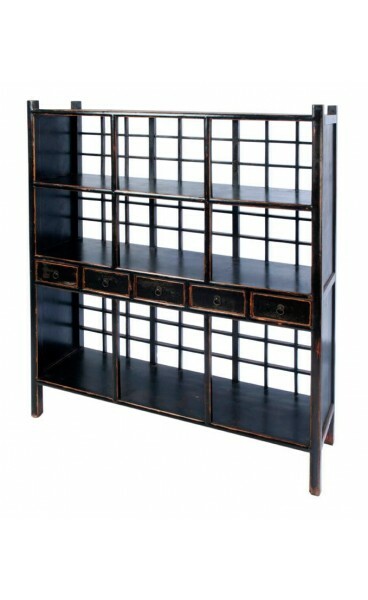 A truly transitional piece that would fit into a kitchen, hallway and library with ease. 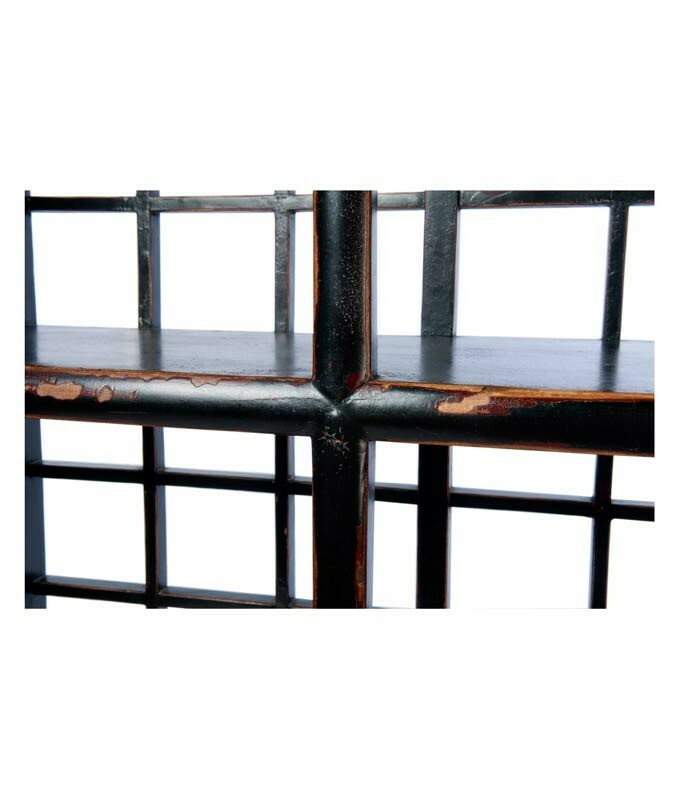 Due to the size of this item we request you contact us for a shipping quote prior to purchase. 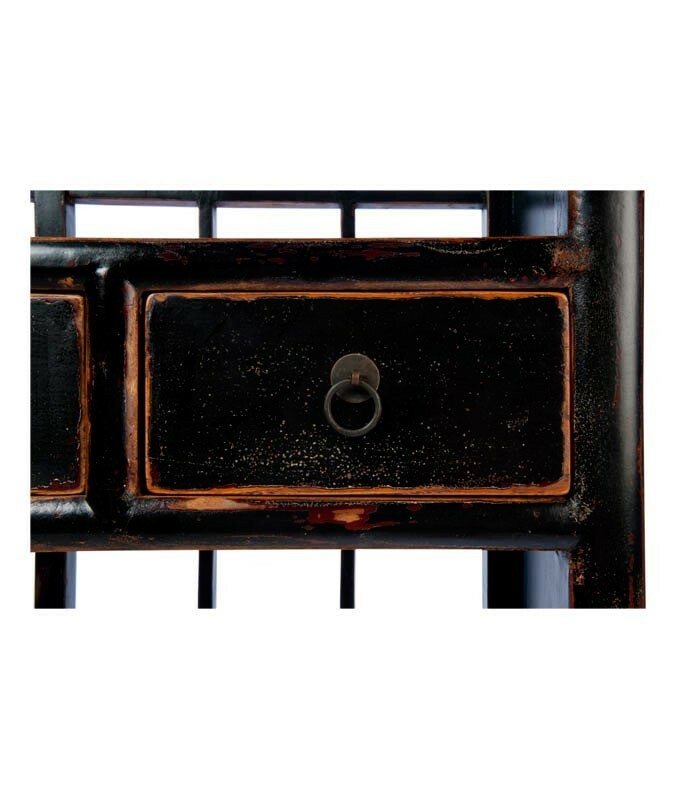 Availability: Due to the size of this item we request you contact us for a shipping quote prior to purchase.